Welcome to real estate sales! The hardest and most challenging roller coaster ride of your life. Yet this profession can also be so very, very rewarding. When I came out of corporate America and started my real estate career, I did not have an extensive network because I worked 80 hours a week. I wasn’t as connected to the community as others. I was starting a business from scratch and I knew excuses would not create income. So, I took what I knew from engineering – system, structure, and process – and applied that to my business. I knew if I created and followed a formula, success would flow. And it did! Following my “7 S” formula I became the rookie of the year, #1 producer in my office and 3 years later the #1 agent in my market. 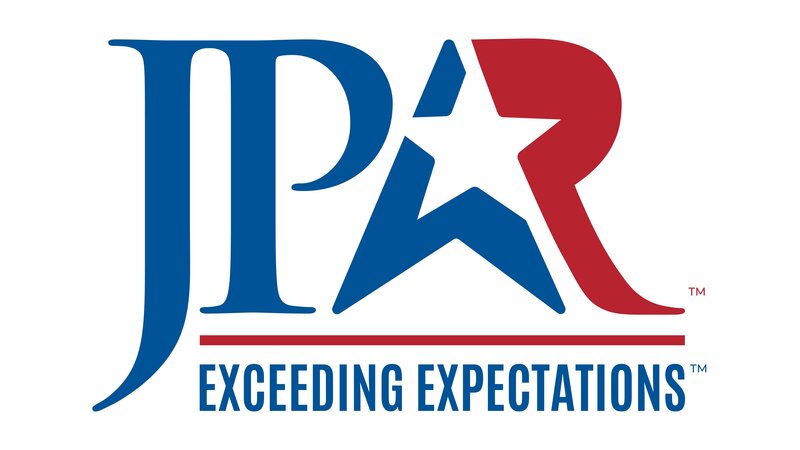 Later in my career, I had the skills, desire and drive to create my own real estate brokerage: JP & Associates REALTORS®. And I’m proud to write that in the last 6 years – following the “7 S” formula DAILY- we’ve come from being a dream to being named the 88th largest firm in America! Every day I suit up – I suit up mentally and physically. Unless you live in Malibu where you can get by at times with shorts and flip-flops, suit up and look like a successful, professional. Everyday dress for success for the norms in your area. That included my car… now at first, I could not afford a fancy car, yet I invested in a 4-door car that was always clean and ready to go. Suiting up for me also meant my daily mental routine. 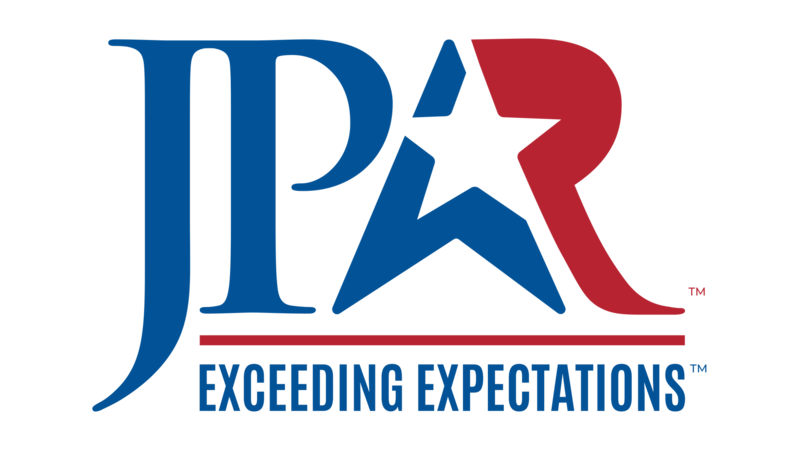 My friend and COO Mark Johnson at JPAR, recently wrote: “the mind is its own place. Inside it, you can make a perfect place miserable and a miserable place nearly perfect.” That’s so true. Each day I focused on the positive things I could create in my business and for my life. You see I knew, what I focused on expands and I chose to focus on being mentally tough and taking inspired action daily. What I learned I had to BE the agent that people wanted to work with and refer friends to. You can do the same. Suit up every day mentally and physically! EVERYDAY. This is where agents begin to fumble and falling off the wagon so very early in the steps. In my business, I showed up! I showed up to as many local and regional real estate events and community events as possible. Became involved in all my kid’s activities and filled my calendar with appointments! Appointments I learned was my “money ball” the equivalent of getting on base. The more I got on base the more signed contracts I created. I made appointments with everyone who could help me: with title companies, lenders, friends, clients, other top producers. While others would not begin arriving in the office until 11 every day, I got to the office EARLY. I made it a point to never eat lunch alone. Coffee anyone? What I learned after suiting up was to SHOW UP and show up everywhere! Show up until you don’t need a business card to introduce yourself in your market. Generalist struggle and specialist thrive. When I ask an agent their specialty and they answer, “I’ll go anywhere,” typically, that answer is a signal for help! I’ve observed that agents who go anywhere struggle more than agents who specialize. Yes, most of us live in or near a large market, yet a niche specialty market is a secret to stretching your dollars and maximizing your exposure. Niche markets are all around us… consider what industry you come from like Nursing, teaching, law enforcement? You can specialize in those markets. What about specializing in investment properties for high wealth individuals? Of course, there is always the local neighborhood. You can make a great living by becoming the hyperlocal expert in a 300-home area by becoming the “hub” for all things real estate and home ownership related. You’ll provide a great service to your “farm” and love your business. I learned this early in my career. Your marketing dollar cannot cover an entire wide area. Your audience needs to be narrow and they need to hear or see your message daily. It seems in today’s world the word “solicit” or “sales” is almost a dirty word. Yet consider this… nothing in this world happens until someone buys or sells something. And those who do so in an eloquent and professional way can be well rewarded. Fact is, real estate sales in many ways is a commodity like milk, juice, and airlines. Yet you can differentiate yourself in service, follow up, expertise and always delivering on your promises. So, don’t be a secret agent. You’ve got to get out there and engage with the people you know and the people you don’t know. Build and maintain relationships. Wear a name tag; slap a magnetic business card on the side of your car; hand out business cards; conduct open houses and invite ALL the nosy neighbors. Spark discussions about real estate with everyone you meet. And then be prepared with your U.S.P. Your unique selling proposition… (google it!). Finally, develop your network of professional relationships who you can cross-refer business. Keep in mind, I learned early on that “what you say matters.” I can’t emphasize enough the importance of role-playing and practicing. Agents who rehearse the buyer presentation, rehearse their listing presentation and rehearse the most common objections simply outperform those agents who don’t. It’s just that simple: practice with someone in the office NOT on your potential customer. I’d rather say “invest” but it doesn’t start with an S! You have to spend, to invest money to make money. And every spend should have a direct ROI (return on investment) back to you. Be smart, be strategic but have a budget each month that is invested in tried and true lead generation and set aside a budget to always be testing something new and innovative. Limited money? Check equity or sweat equity… it’s your choice, just be resourceful in how you spend your time, talent and treasure. For example, in some cases, you can door drop and save money on direct mail. Whatever you do, however, you choose to do it remember the purpose of all real estate marketing is to get an appointment. Get the appointment is your money ball! Most agents don’t even have a budget. Create one now, and work toward increasing the spend monthly, not reducing it. 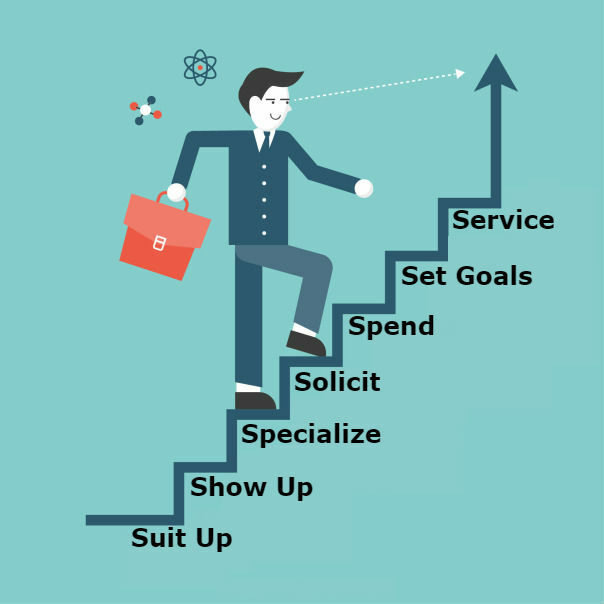 The more you spend toward lead gen, marketing the more appointments you can create. A scared money will never make you real money. Look at where top producers spend their money in lead gen and outspend them over time to take their place. Simple enough. I’m going to serve 50 families this year to either buy, sell or invest in real estate. By talking with 10 people a day (4 I know; 4 I don’t know, and 2 from previous lead follow-ups) I’ll make 4 appointments a week and sign 1 new contract each week. Which agent of these agents is going to win at the end of the year? You are a business owner now and business owners don’t wing it. Set big goals that motivate you to take big actions. EVERY. SINGLE.DAY. You should have a checklist of things you want to accomplish towards the master goal. Don’t quit the day until you have those things done. As an engineer, I was given a Franklin Covey planner. I had one of those in my days selling real estate and to this day I carry a notebook. I want to check things off my list daily. It’s fulfilling. It’s personally rewarding. You can specialize, solicit, spend all day long, but in the end, the willingness to help people and be active in your community carries more weight than gold in our business. Get involved in your church, your community events. Volunteer in your kid’s groups and local organizations like the Junior League, or Women Leagues, or Rotary club. It will take some time to get business from those circles, but if you have a genuine approach and take time business will come. Zig said it best. You can have everything you want in life if you just help enough people get what they want. Make it happen each day, use the 7 S formula and success will flow. If you didn’t catch my previous post on the 7 Things I Wish My Broker Had Told Me, then check it out. This is excellent – 7’s. Love it and thanks for sharing your formula.